Darrin’s Cleanout Service is a clean out company that provides residential/commercial demolition services, rubbish removal and debris removal services. 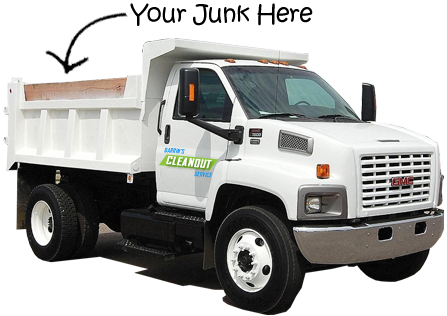 We’re a small owner operated cleanout company that has an efficient team of rubbish removal experts. Darrin’s Cleanouts brings fifteen years of experience and customer service to your worksite. Leave the job to us. We’ll clean up the old materials from your home renovation in our dumpster, haul it away and properly dispose all of the materials. Darrin’s Cleanout Service takes on the largest of demolition jobs, so don’t hesitate to call us if you’ve decided to knock your old house down and rebuild, we love a challenge. Call today to find out what Darrin’s Cleanout Service can do for you, estimates are free and we have a 100% satisfaction guarantee for all work that we do, so what are you waiting for?